South Korea's No. 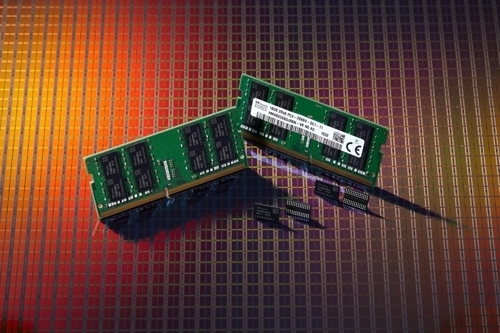 2 chipmaker said it completed the development of 8Gigabits DDR4 DRAM applied with the new production technology. The second-generation process boasts 20 percent improved productivity while consuming 15 percent less energy, the company said. The company said it plans to start mass production through the new technology in the first quarter of 2019, claiming the chips can meet the performance and capacity demanded from the industry. The chipmaker said it applied the four-phase clocking technology, which doubles signals exchanged during the exchange of data, in order to improve speed. SK hynix said the technology is comparable to increasing the number of booths at each tollgate on an expressway to help automobiles move along faster.